Disillusioned with the corporate ownership, mega-bucks culture, and overpaid prima donnas, of the Premiership, Steve Leach embarked on a journey to rediscover the soul of professional football. His journey, over the 2012/13 season, took him to twenty-four different Football Conference towns and fixtures, visiting venues as diverse as the Impact Arena in Alfreton, Stonebridge Road in Ebbsfleet, and Luton’s Kenilworth Road. 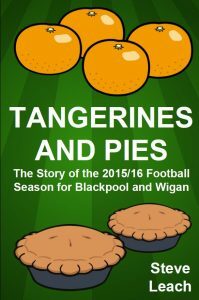 Encountering dancing bears at Nuneaton, demented screamers at Barrow, and ‘badger pasties’ at rural Forest Green – Steve unearthed the stories behind the places and people – it was a journey that showed just how football and communities intertwine, and mean something. As the season progressed Steve relished how unfancied teams of part-timers, such as Braintree Town and Dartford, could defeat higher status opponents, and watched ‘big name’ clubs such as Luton Town and Lincoln City struggle to make an impact. Throughout all this, his anguish grew at the prospect of his beloved Stockport County getting relegated. 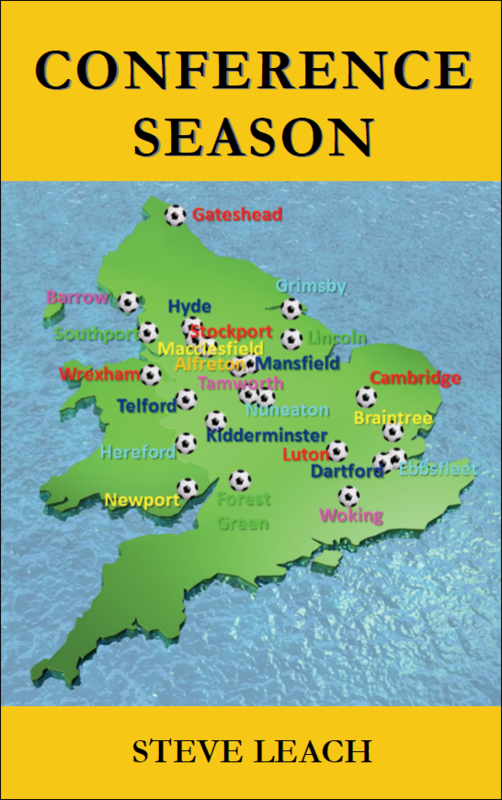 Conference Season is a warm and discerning celebration of the diversity of towns and clubs which feature in the Conference, and of the supporters who turn up week-after-week to cheer their teams on. Steve Leach is Emeritus Professor of Local Government at De Montfort University, Leicester. He has published (singly or jointly) twelve books about local politics and local government, including ‘Managing in a Political World’ (Palgrave/Macmillan, 2010. ), ‘Local Political Leadership’ (Policy Press, 2000; with David Wilson. ), and ‘Botched Business; the Damaging Process of Local Government Reorganisation 2006-2008’ (Douglas McLean, 2008; with Michael Chisholm.). Conference Season stems from a lifelong interest in professional football at all levels, and an enthusiasm for visiting and commenting on the kind of medium-sized towns in which most of the clubs in the Football Conference are based. Book Categories: Soccer, Sport and Steve Leach.